Needing to replace a broken camera while on the road 48 hours before a videography gig became more than just simply buying a new one from a store. Sometimes things don’t go as planned while travelling. And that can be a major inconvenience to resolve when in different countries and speaking different languages. I spent two summer months in Europe – partly business and partly pleasure. And it was a bit of a disaster. I ran into not one, but three major problems while on the road. Each is a lengthy story in itself, so to break them up, here is the the first one in my series of when things go wrong while travelling: the 2016 camera crisis. In January, I dropped some serious cash and updated my camera. I jumped from an entry-level DSLR to a full-frame mirrorless Sony A7 II. It came highly recommended as a fantastic camera. Except when it stopped working only five months after purchasing it. 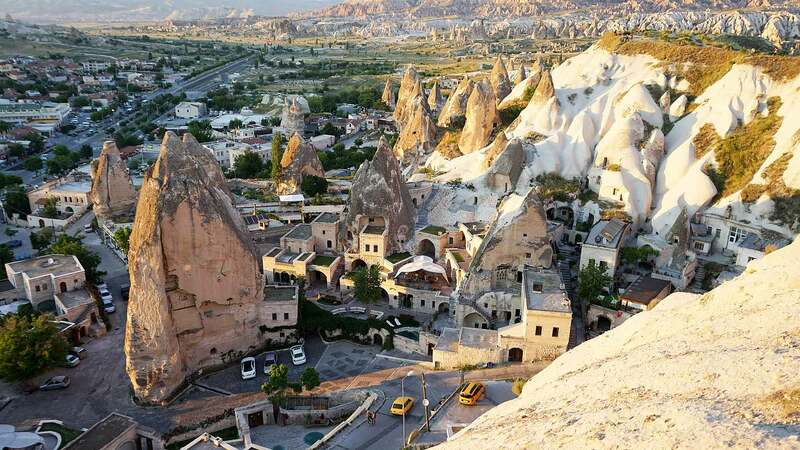 I was in Cappadocia, Turkey, one of the top destinations on my bucket list. I was planning on hot air ballooning with my mom and brother the next morning. Before our 4a.m. wake up call, we spent the evening catching the sunset over the surreal fairy chimneys of the small town. One of the last images captured on my Sony A7 II before it died. What a shame to be amongst this scenery without a properly working camera. Turning it on and off did nothing. Switching batteries did nothing. Removing and replacing the lens also did nothing. The problem was the shutter had shut and refused to open. No amount of gentle pushing from my fingers would make it pop open again. The error message would only disappear if I took the battery out. The camera was a brick. I was in panic mode. What an inconvenient time for it stop working. Not just because I was going on a hot air balloon ride in one of the most amazing landscapes in the world – but because in 48 hours I would be boarding a 16 passenger sailboat for two weeks in the Mediterranean as their official videographer. Without a video camera. 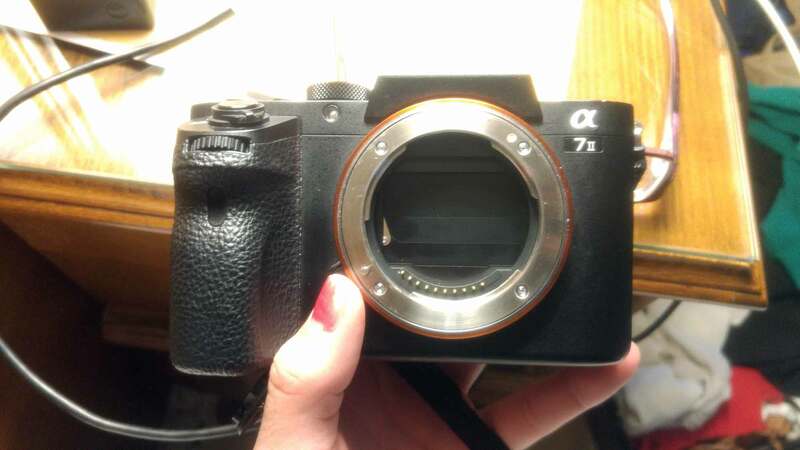 My camera crisis: A view of the camera with the lens removed and the shutter stuck closed. Travelling is my business. And to show up without one of the most important pieces in my tech arsenal is unacceptable and unprofessional. I pride myself on being able to think around problems and issues. It’s one of the skills I’ve picked up while traveling. I often work on building and changing itineraries when things don’t work out. So instead of panicking (okay, I still did a little bit), I worked on problem solving. I spent the entire night googling ways to solve the camera error. First, I went back to my hotel and called Sony. After more than 2 hours on Skype it was apparent the camera had a warranty issue and needed to be sent to Vancouver. Too far from Turkey. The closest Sony certified store was next door to me in Greece. Fixing the camera was not an option as it would take more than 48 hours. Next I researched overnight shipping my secondary DSLR from Canada to Marmaris, Turkey. Costs were astronomical. There was no guarantee it would reach me in time either. Thirdly, I reached out to the community of photographers I know back at home. They were all supportive and tried to help me think of creative ways to fix my camera, but a broken camera is a broken camera. This was definitely a camera crisis. The next morning, after no sleep, I went hot air ballooning and shot video and photo on the only equipment I had: my GoPro and cellphone. It worked but was not quite the quality I was hoping for. Once back from the early morning trip, I went to work figuring out how to get a new camera. Now, remember I am in Turkey. It’s a wonderful country but does not have BestBuys as easy to find as Canada does. I would need to research what their local tech stores were and if they carried what I was looking for. So, I reached out to the Turkish community. The manager of the hotel was helpful. In a town over was a technology shop, and although they didn’t sell cameras, they were part of a chain with a shop in Istanbul. I would be flying through Istanbul at 11 p.m. that night so not helpful to pick up a camera. But the manager had a friend of a friend in Istanbul, who, for a small fee would deliver it to me on my hour and a half layover at the airport. That sounded like a great plan to me. (Clearly I’m a trusting person, as well as desperate). So we arranged the purchase of a new $1000 Sony A6000 at a store in Istanbul. Definitely something I had not budgeted for but was necessary. The man would pick it up and deliver it to me at the arrivals hall in the airport and I would be on my way to Marmaris. Except that’s not how it went – at all. I boarded my plane and flew into Istanbul. We landed early and I arrived with plenty of time to spare. I told my mom and brother to wait at the gate for me as I exited airport security to meet the man whom I had a picture of. I stood outside the arrivals hall and waited. I had no cellphone data or service to contact the hotel manager and no way to contact the man who was to be delivering my new camera. Scanning the crowd of people standing around me waiting for family members outside the airport, I targeted a young Turkish man about the age of 20 hoping he spoke English. No luck. I stood around and kept waiting, eyeing up who else might be able to both understand and help me. All I needed was a phone to borrow to contact the hotel manager (the man delivering my camera did not speak English so I could not call him personally and the airport did not have free WiFi). The young Turkish man was still waiting nearby and came up to me – clearly intrigued by my request in English earlier. He had google translate out and I was able to convey to him that I was waiting for a man to deliver my new camera, but he hadn’t arrived and I needed to contact him. For the next 45 minutes, translating Turkish to English, I texted and called the hotel manager. He in turn would message his friend who would call the delivery man about my camera. This is where things went weird. The reply was always that he was still on his way and would be there shortly. Then it changed to he was at the airport but I wasn’t there. (There is literally no other Arrivals hall at this particular airport I could have been at). Then he was stuck in traffic. Then, the message came that he had delivered the camera to me. The messages were weird and didn’t makes sense. I had been standing outside for more than an hour – the only white woman with blonde hair at the arrivals hall. I couldn’t be missed. This man was clearly not going to be delivering my camera to me. I had been duped and robbed. Shame on me for being so trusting. Now, I started to panic. I just dropped more than $1000 on a replacement camera, was 24 hours out from boarding the boat for work and it appeared as though my replacement camera had just been stolen. And to make things worse, if I didn’t hurry up, I would miss my flight to Marmaris. I was shaking I was so panicked and stressed out. But I needed to pull it together to get through security and start re-planning how I was going to fix things. Through Google translate, I graciously thanked the young man who spent more than an hour with me trying to help me (he even bought me a lemonade). I sprinted back into the airport. Not only did I have to go through security – I had to go through it twice! Once to get into the airport and once to get to my gate. In my now frantic rush, I left behind the copy of the delivery mans name and phone number, as well as $75 dollars in cash in the security bucket. (Just another kicker to my stressful day). I sprinted through the airport and got stuck in a long line at the second security. I was only minutes from missing my flight. Thankfully, my mom knows how I think and realized when I didn’t come back right away that something was wrong and I must not have received the camera. She was waiting at security while my brother was holding the airplane at the gate. I snuck through after begging people to let me pass, and my mom and I sprinted to the airplane. We were the very last ones on it. I explained the situation to my family and they commiserated with me. But, I couldn’t cry about the problem just yet. I had 24 hours left to find a camera and I had a local tour guide and vehicle waiting for me in the morning once I reached Marmaris. Selfie on the plane with my mom and brother. Thankfully they were very patient and understanding of my situation. We landed at 1 a.m. and arrived in the small tourist town at 3 a.m. Instead of going to sleep, I spent the next four hours googling the cities nearby that might have a photography store (Marmaris is too small to carry DSLRs). At 7 a.m. with no sleep during the last two nights, I believed I had a plan that might work. We were schedule to visit the UNESCO World Heritage Site of Pamukkale and needed to go through the major city of Denizili. On a map I had circled a few locations that might have a camera shop. And luckily, one of them was the same chain of shops I had bought the camera in Istanbul through. It was my only hope. When our guide arrived that morning, we hopped in the car and I explained the very lengthy story to him. He spoke excellent English and was willing to change our day trip plans to help me. A four hour car ride later we arrived in Denizili. After asking around for directions we made it to the mall that had the (hopeful) camera store. Once inside, my tour guide translated the entire story to the staff. They were incredibly helpful. They called the store in Nevsehir to find out what store in Turkey I had bought my camera at. Then they called that store and found out that no one had picked the camera up. The delivery man didn’t steal my camera – he never even went to go get it! What a wonderful turn of fortune – although confusing. Why didn’t the delivery man just tell me that to begin with and save me all the drama and panic? The store in Istanbul was willing to offer me a credit on my visa card to purchase a different camera at the store I was currently standing in. Looking at my options, I admit I was sorely disappointed. The cameras were only entry-level DSLRs with basic lenses. Which would make do, but they were also discontinued models selling at double the price they could be purchased in Canada. But by this point I was so relived (and exhausted) that I happily handed over my credit card and purchased a brand new Nikon D5200 with an 18-105 lens. I didn’t care that is was insanely expensive, I was so happy to finally have a decent camera back in my hands with just over 15 hours to spare before boarding the boat. 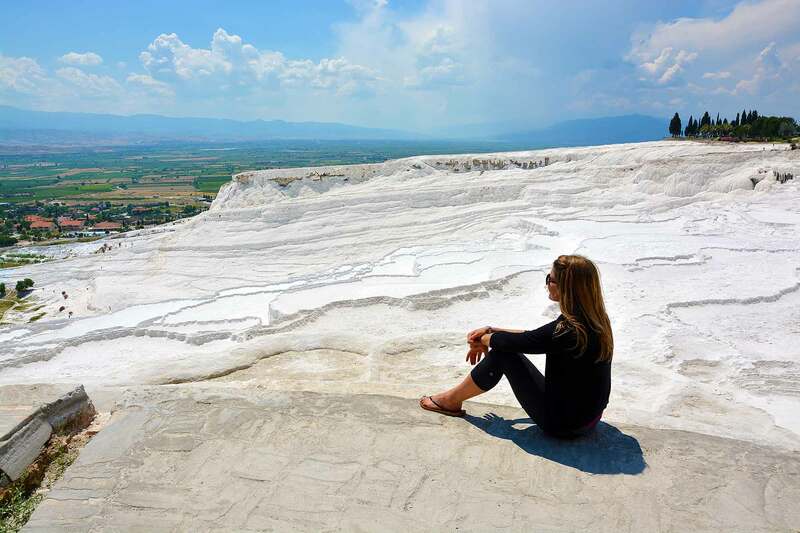 After grabbing a McDonalds big mac in celebration in the mall, we happily continued on our way to Pamukkale to see the terraces of white travertine hot springs. Completely relieved, albeit exhausted. Visiting the “cotton castle” travertines in Turkey. I slept the entire car ride back to Mamaris, camera tucked safely away in my backpack. The next day I boarded the boat and spent two weeks happily shooting video for the company. After the end of my European summer, I came back to Canada to deal with the fallout of my three major mishaps. Taking the final step in solving my camera crisis, I packaged my Sony up in bubble wrap and a box and sent it away. It took the company more than two months to fix my camera under warranty. But finally, mid-October I had the camera back in hand with a working shutter. I admit my perception of quality Sony camera gear has been tainted. Combined with a lack of second-hand lenses on the market to purchase (their lenses are incredibly expensive) I am now considering selling the camera and returning back to Canon on Nikon. Have you ever had something go disastrously wrong while travelling? Share your story below! OMG this was so stressful to read 😡 What a nightmare! I’m terrified of something like this happening to us! I’m so glad you were able to (mostly) work things out. That is such a stressful situation! I’m glad the man was only lying and didn’t actually steal te camera! I firmly believe in everything happens for a reason and works out in the end! I guess the upside is you didn’t get robbed of $1000 and that there is goodness out there (the nice tour guide and store employees who helped you!) Turkey looks absolutely stunning! I was very glad he was only lying too! 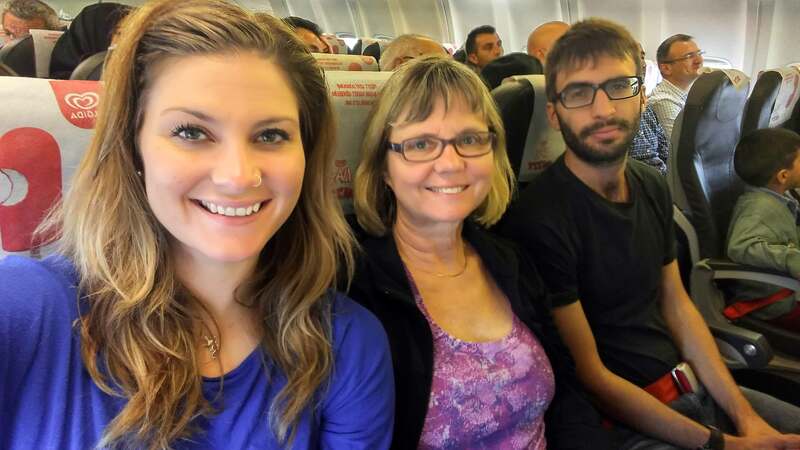 Although I can’t understand why we wouldn’t be honest about it – I would have dumped my flight, send my mom and brother on and then met them the next day in Denizli on another flight. It would have been easier for me (no stress), I would have bought a great secondary camera (it was a Sony I was buying, not a Nikon that I ended up with) and I still could have gone site seeing! Oh well, I’m still just very relieved it all worked out for me in the end! Turkey was incredible! I didn’t have near enough time to explore and I can’t wait to get back one day to see the rest of it! Great story Ashlyn, it’s never any fun running into problems while travelling abroad. The language barrier complicates things so much, people don’t realize how much until you are in such a situation. Glad things worked out well in the end. Ditch that Sony before you go to The Antartic!! Oh it was so stressful! But it worked out in the end. I still have the Sony because it really is a good camera, it just has very unhelpful customer service when things go wrong. Disappointing their camera didn’t last more than 5 months. So we’ll see what I end up decided to do!